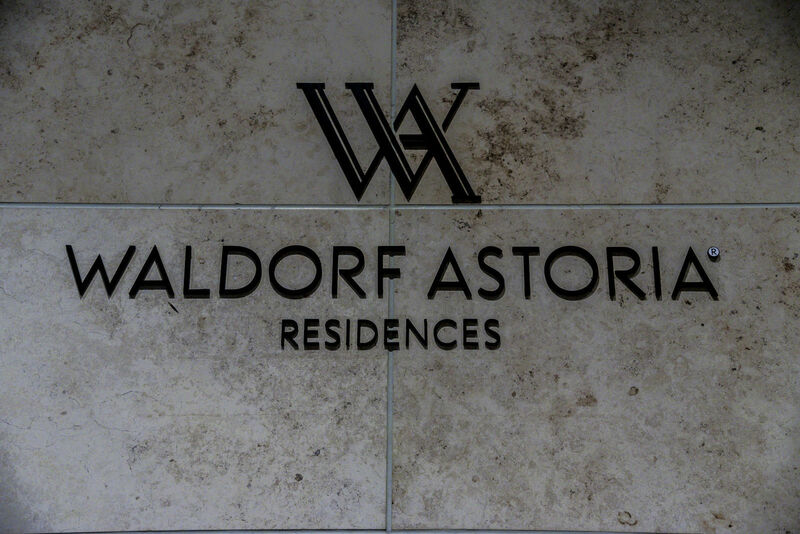 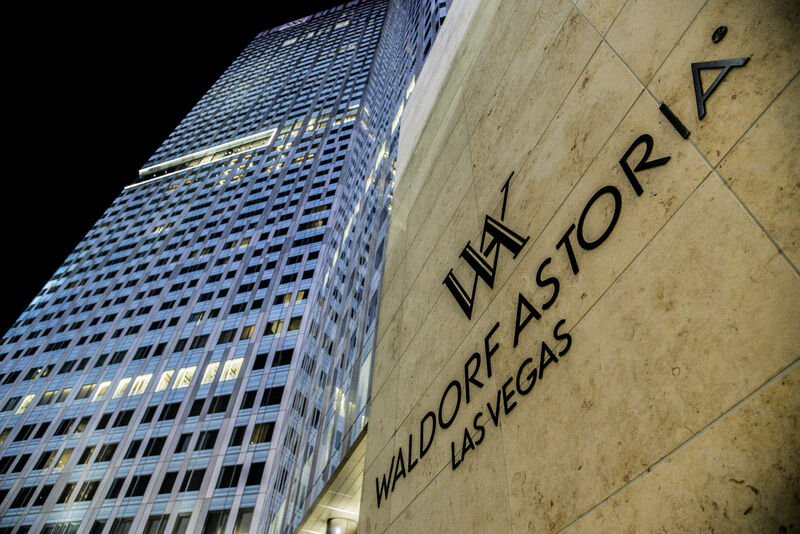 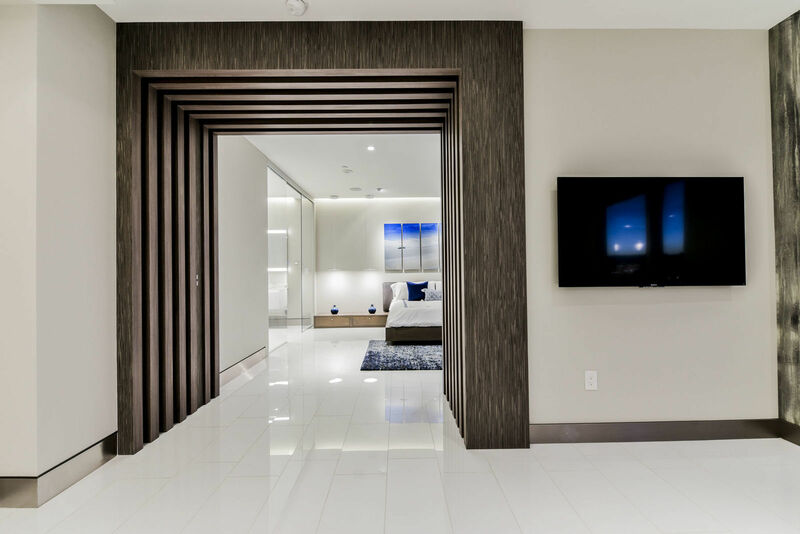 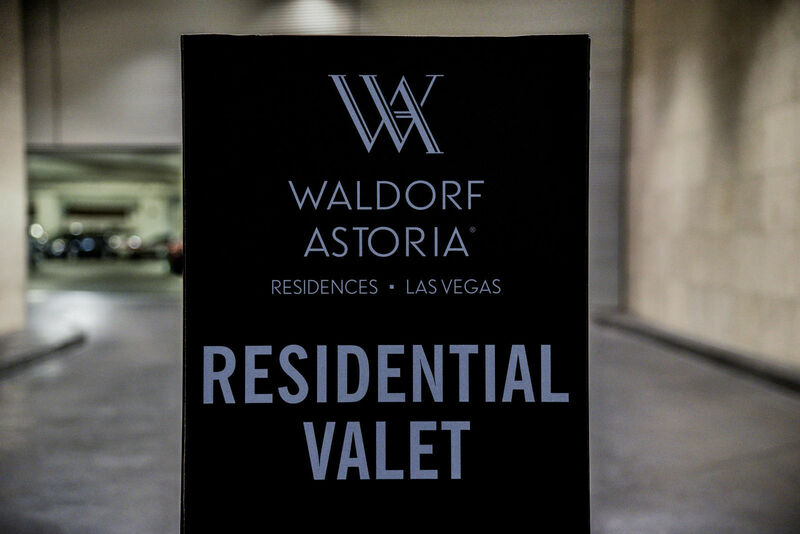 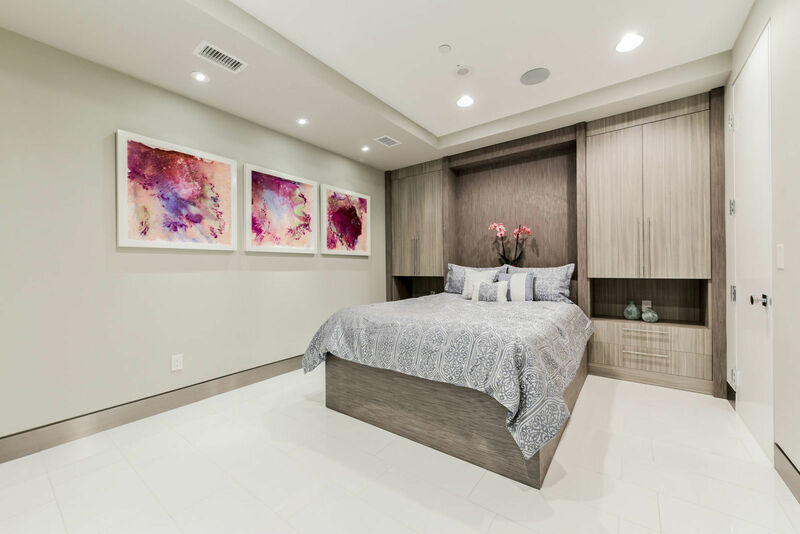 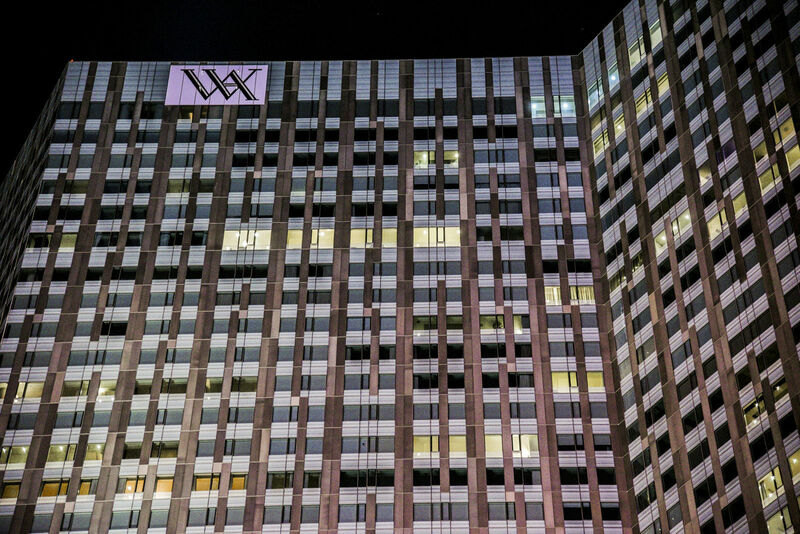 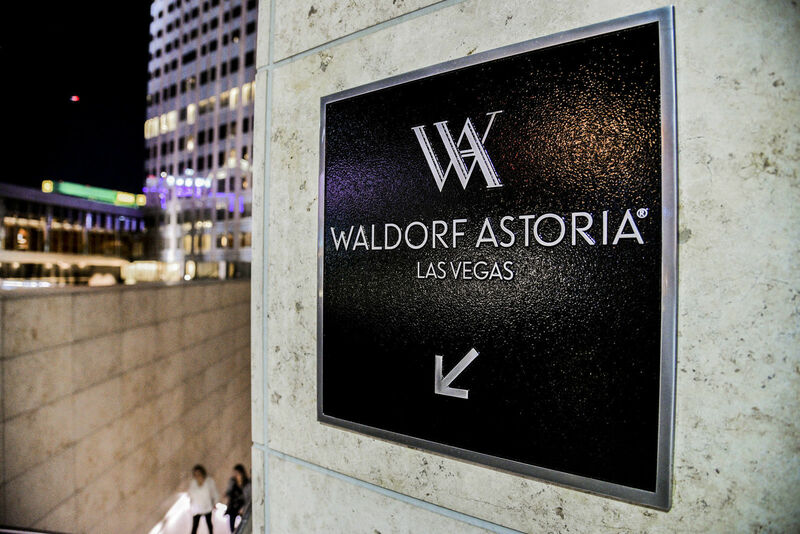 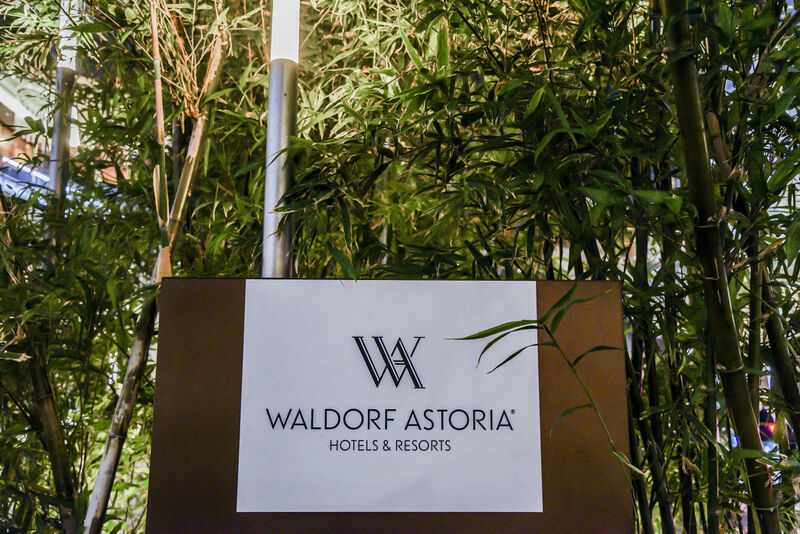 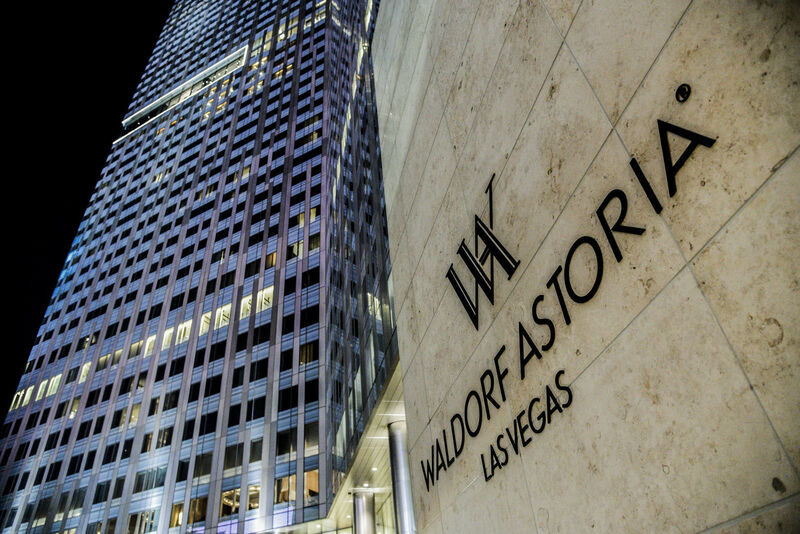 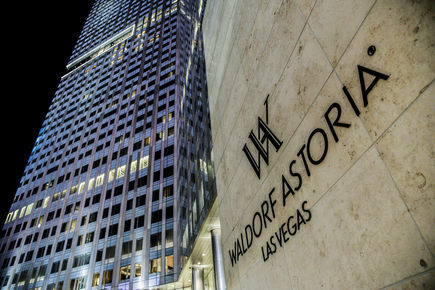 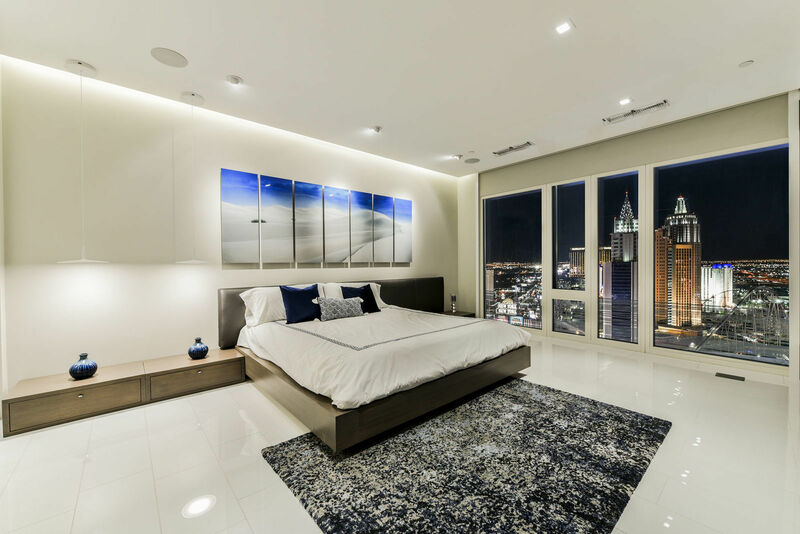 Sophisticated Style, Luxurious Amenities, and Prestigious Location describe this customized 2 bedroom/2 bath residence at the Waldorf Astoria on the fabulous Las Vegas Strip. 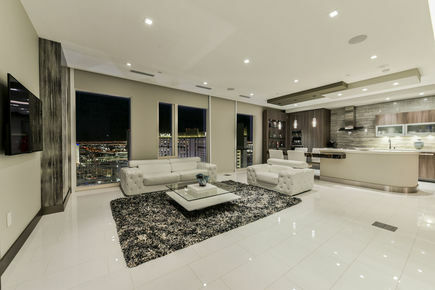 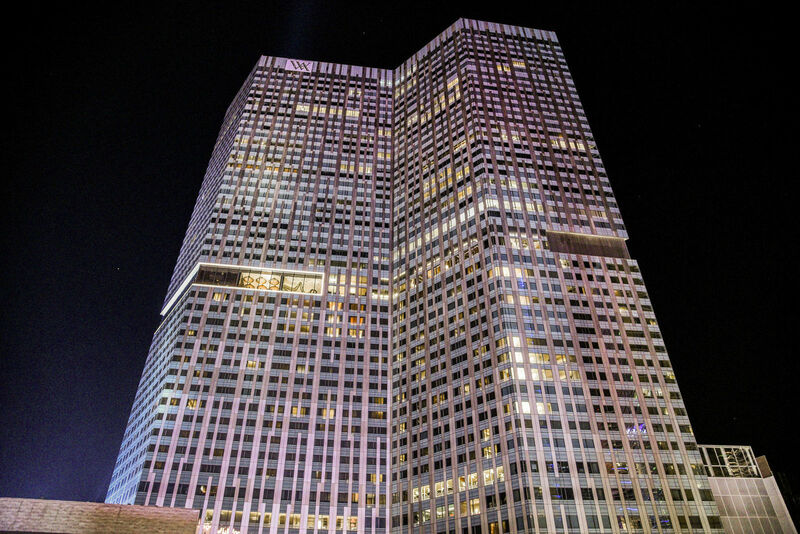 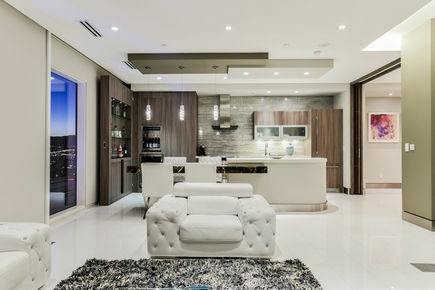 Floor to ceiling windows with captivating views enhance the enjoyment of owning this unique residence on the 25th floor. 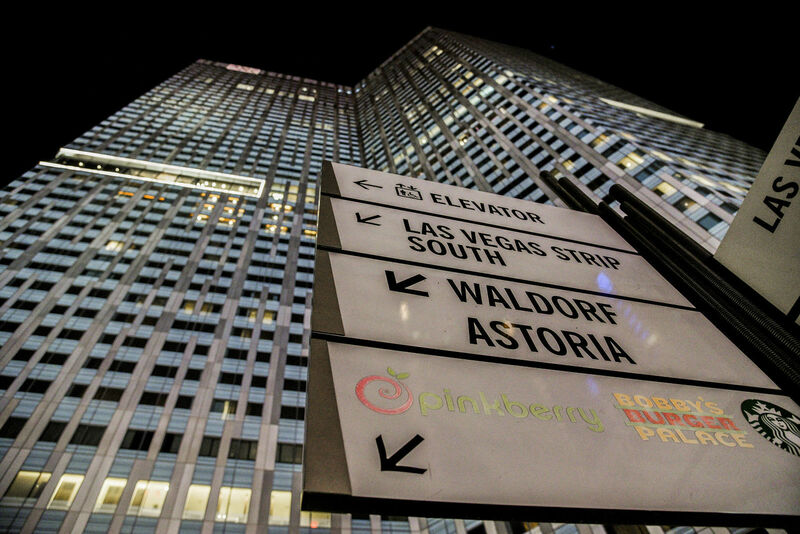 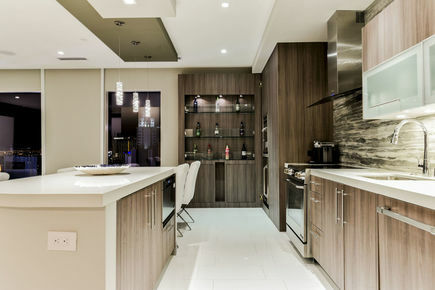 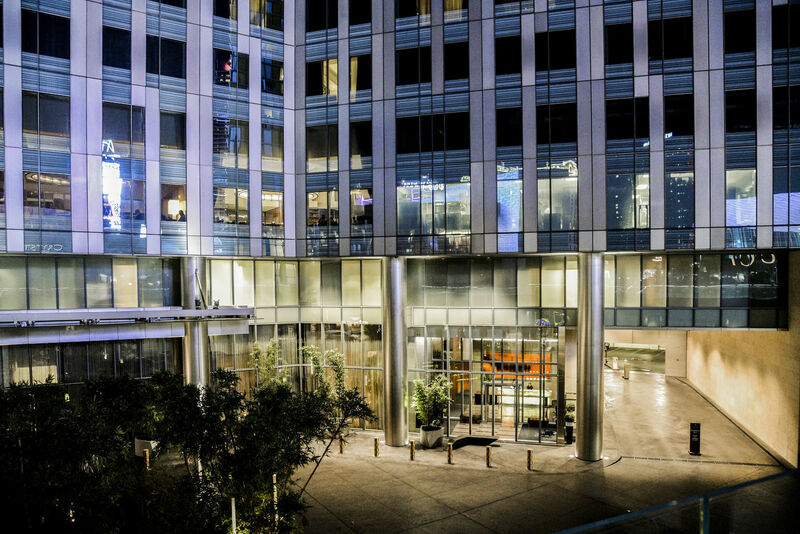 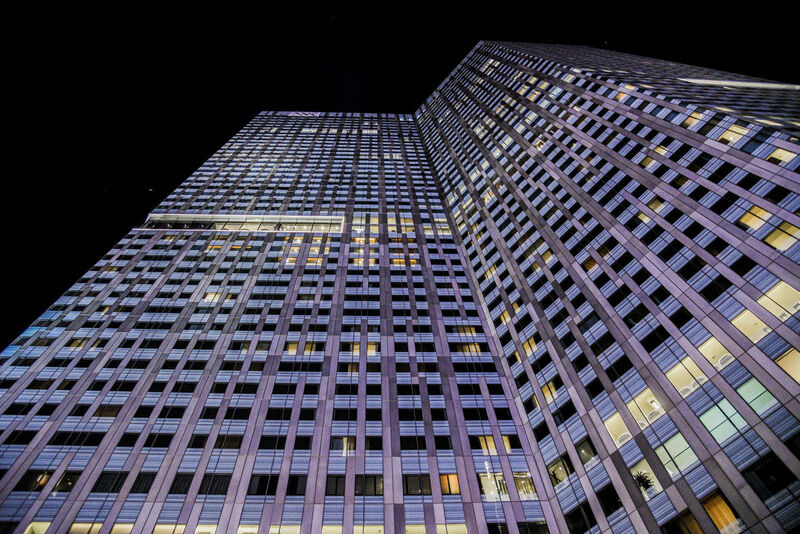 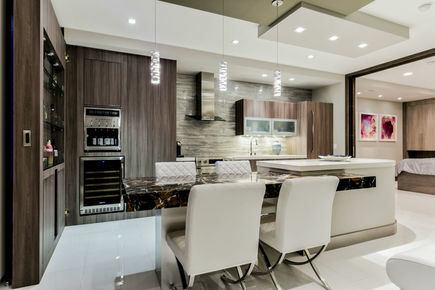 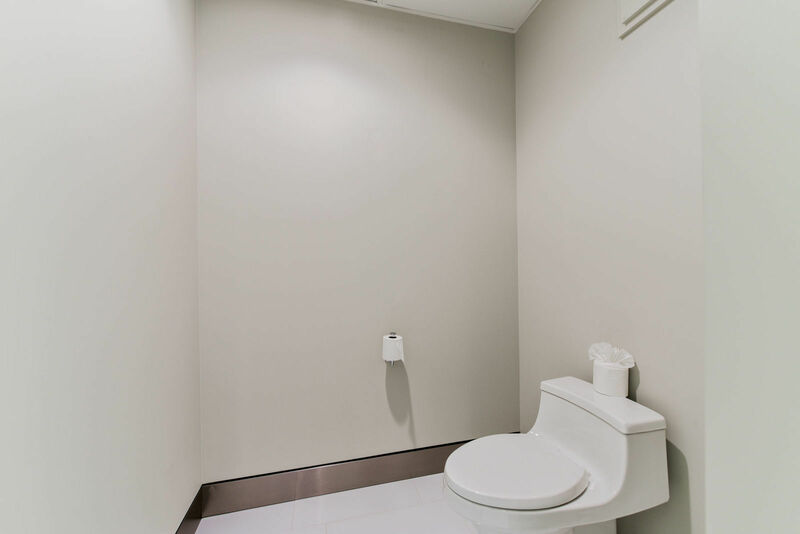 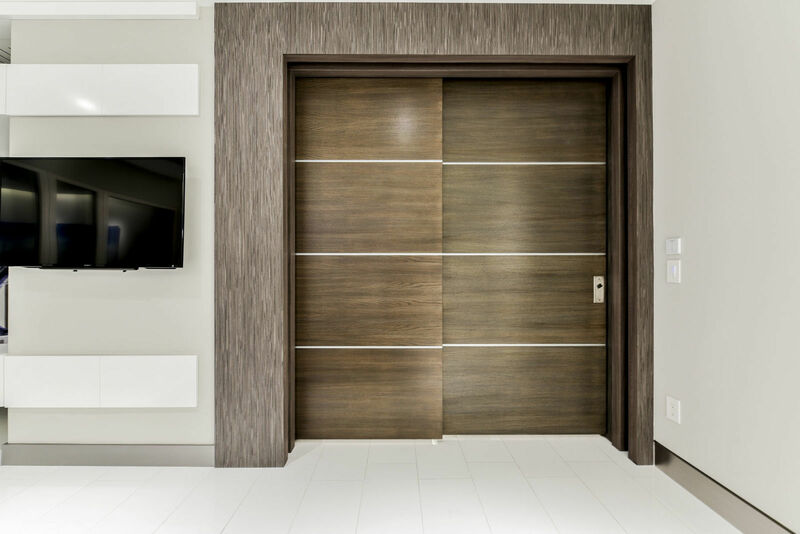 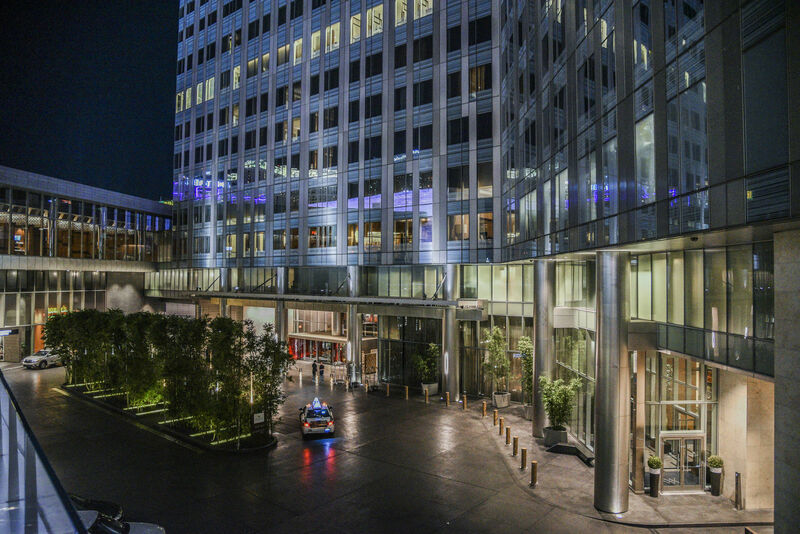 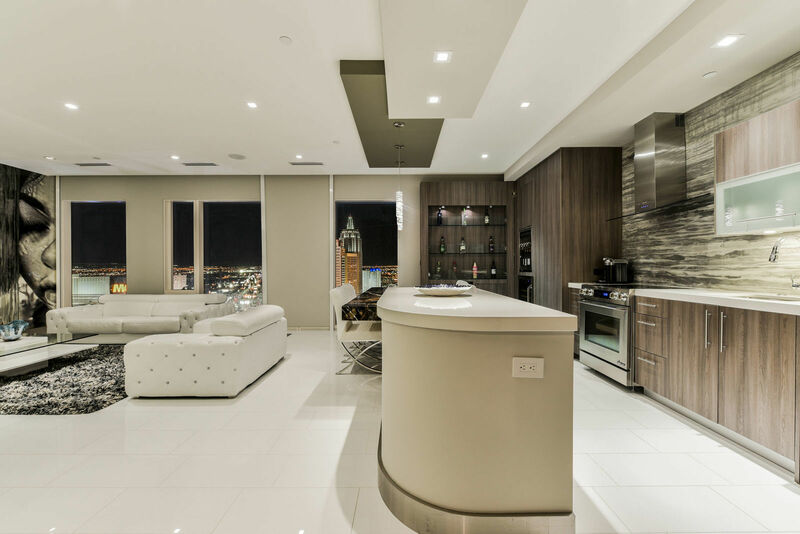 With modern and sophisticated finishes, this residence offers the maximum in luxury and amenities. 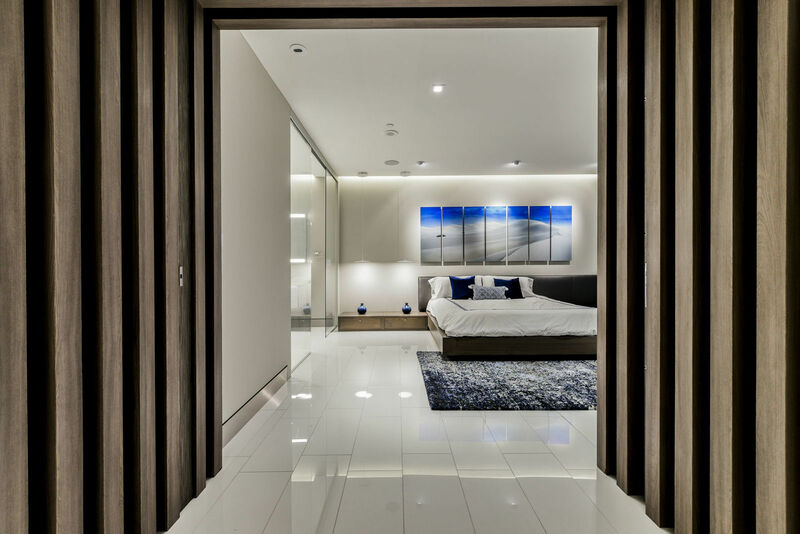 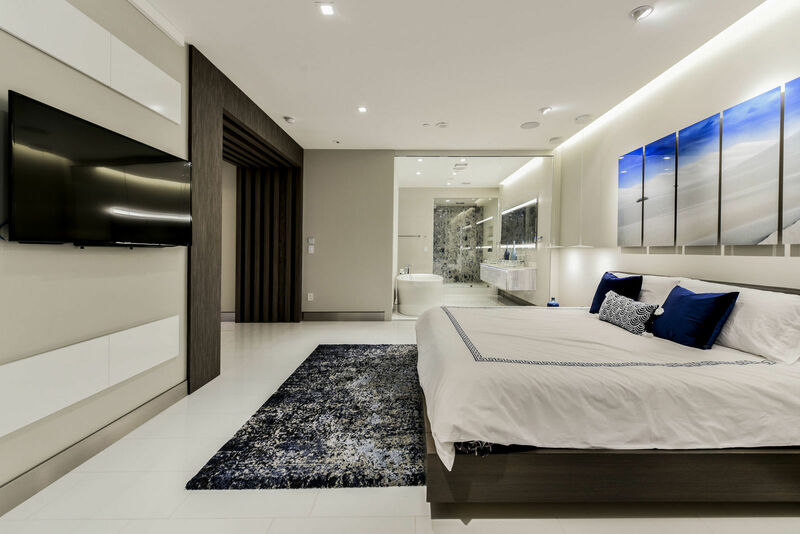 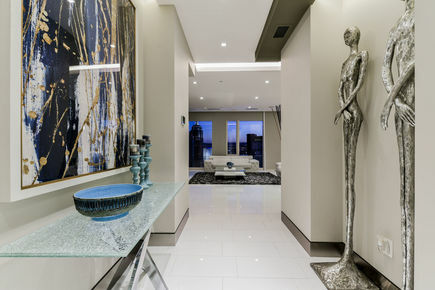 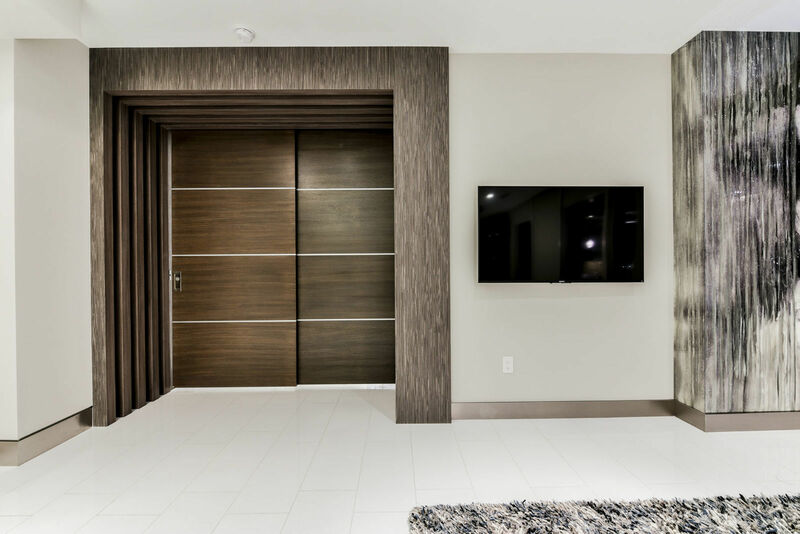 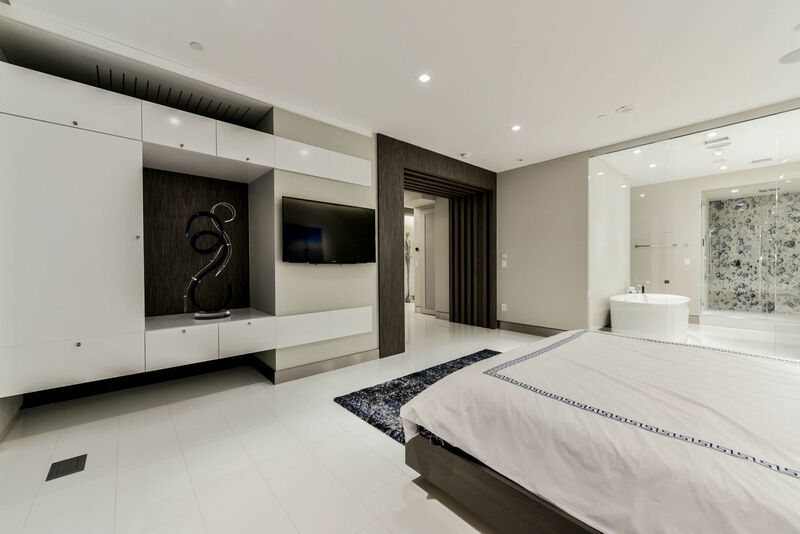 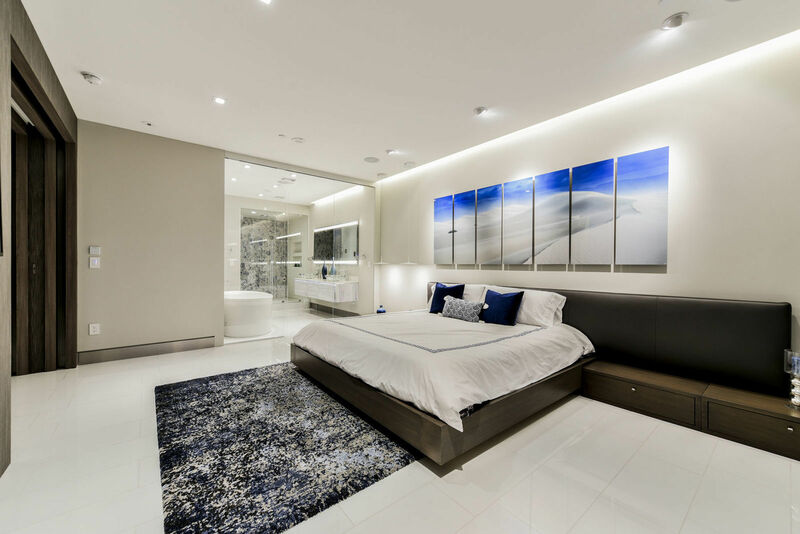 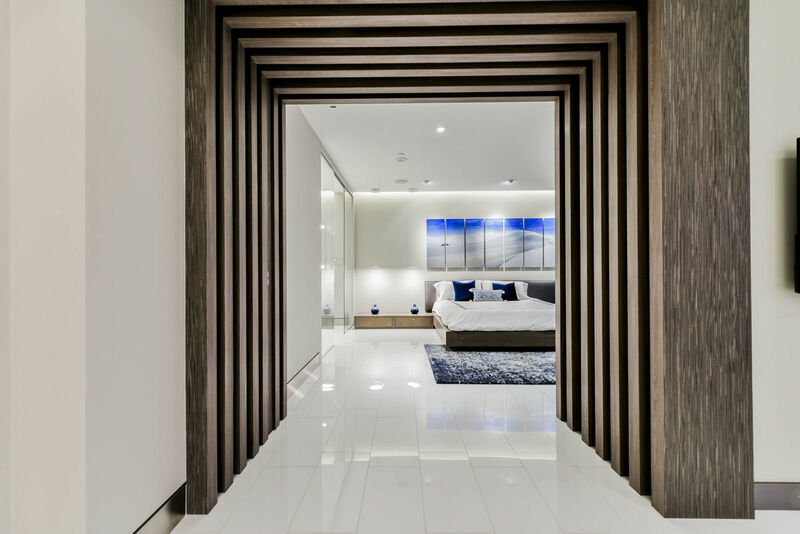 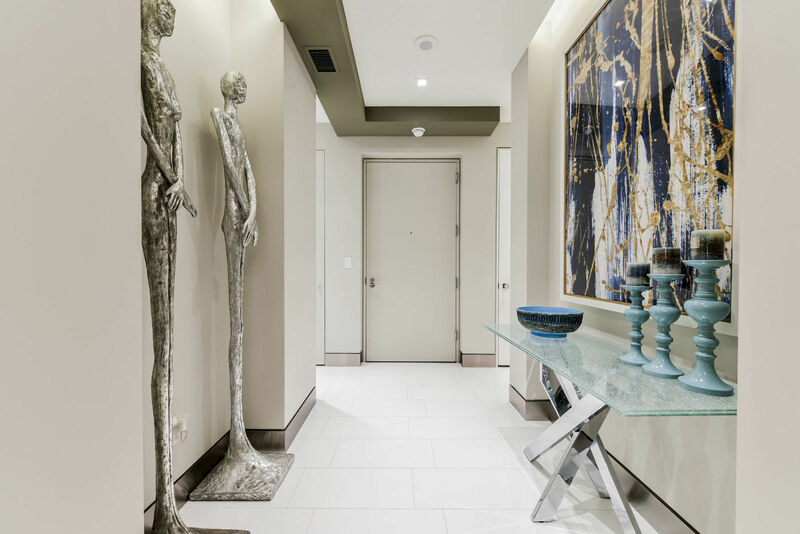 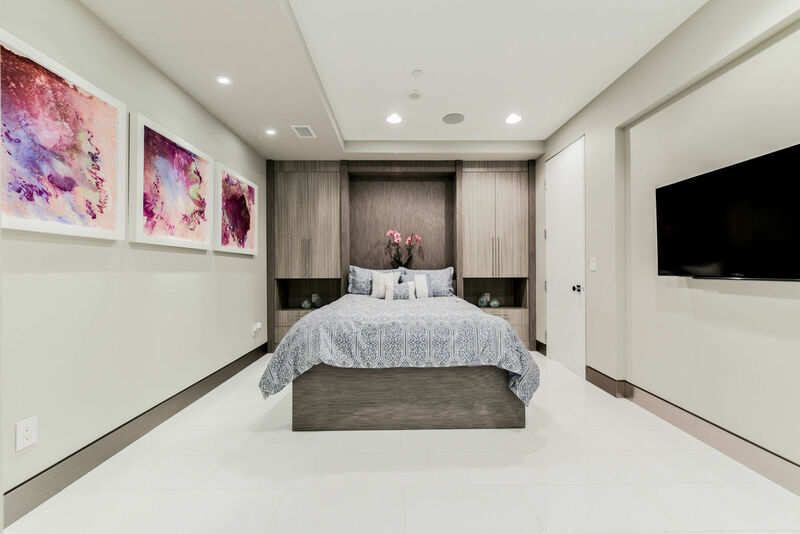 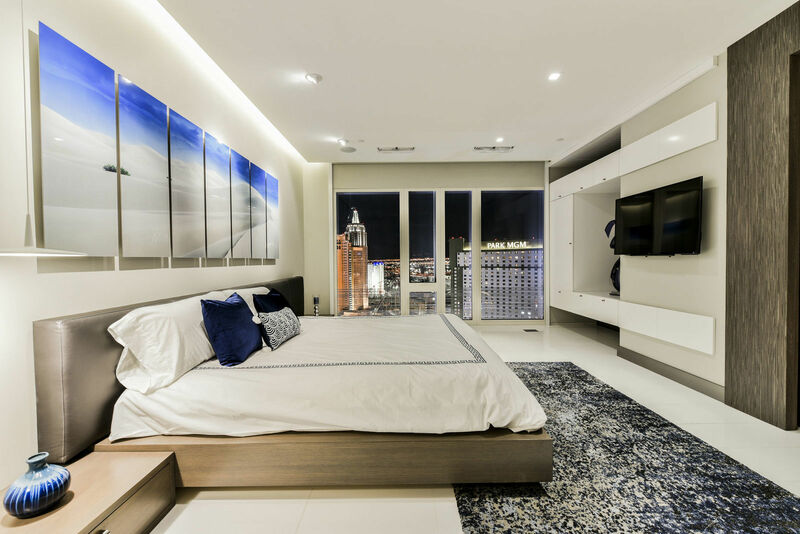 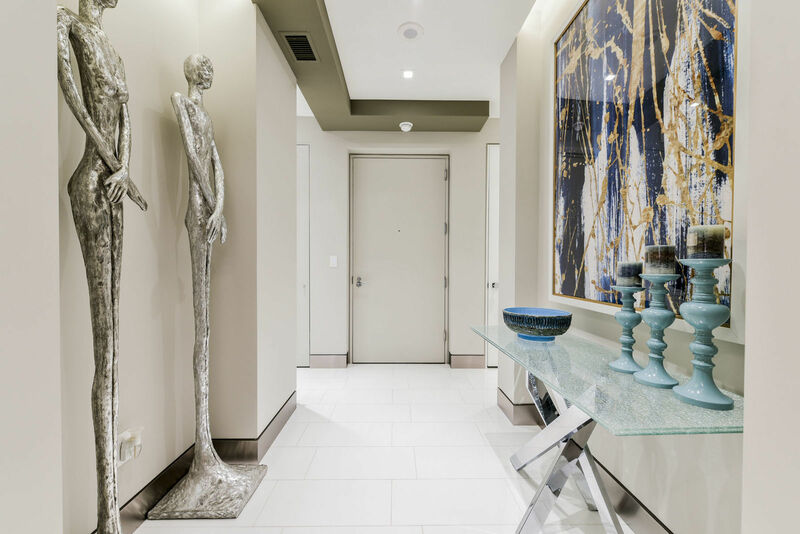 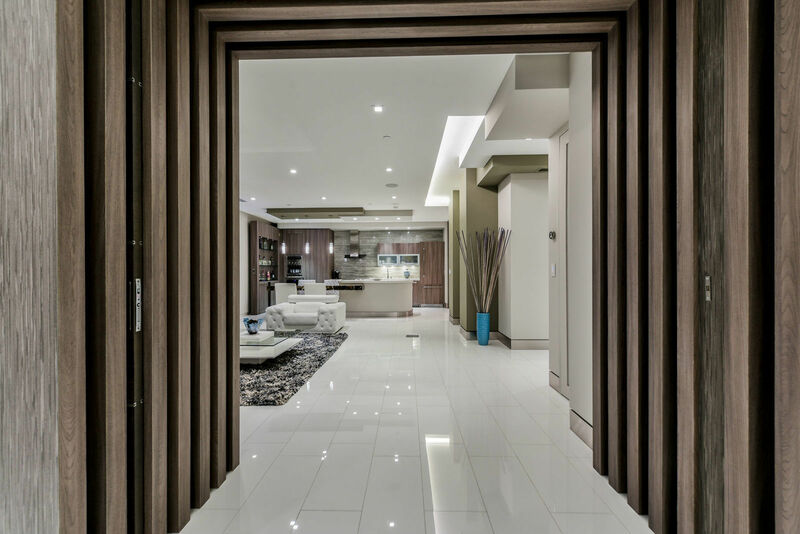 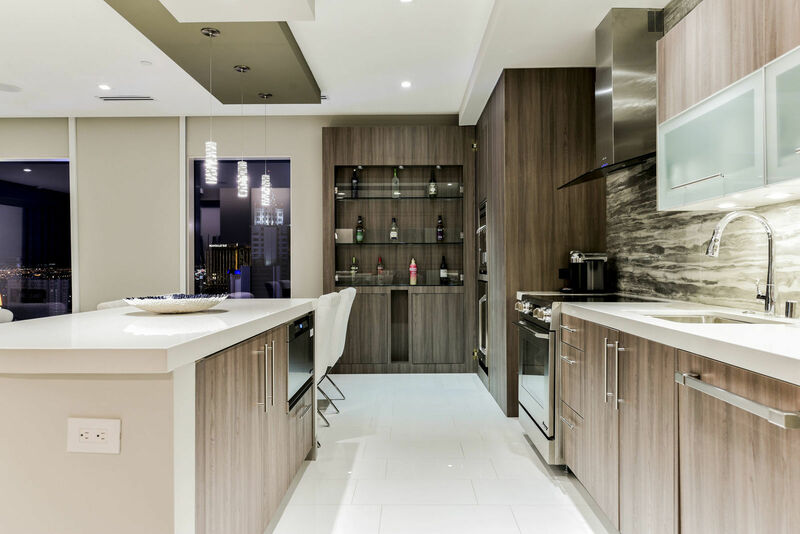 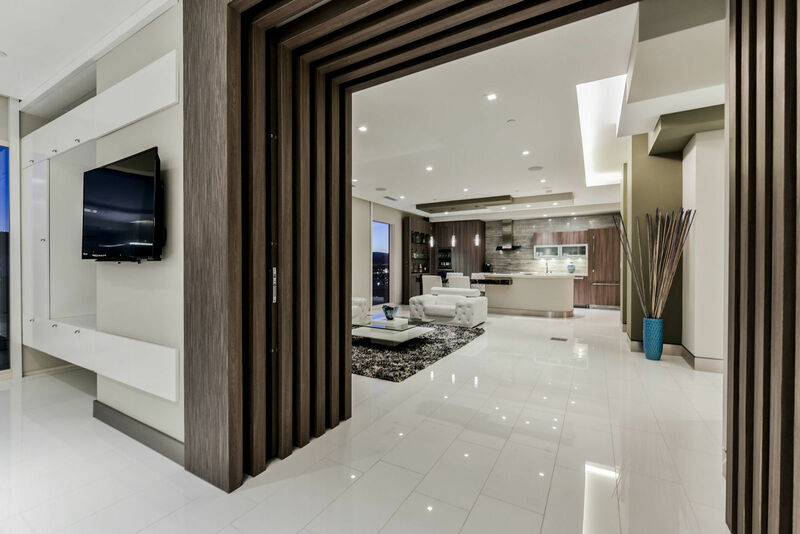 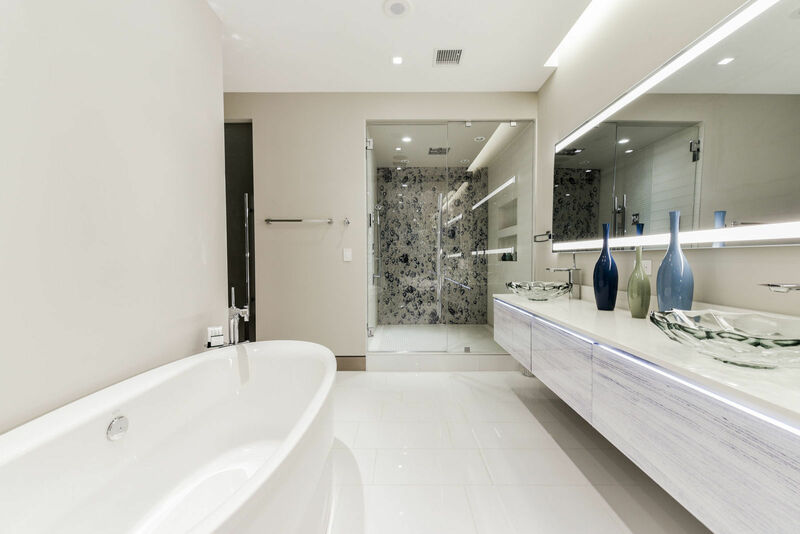 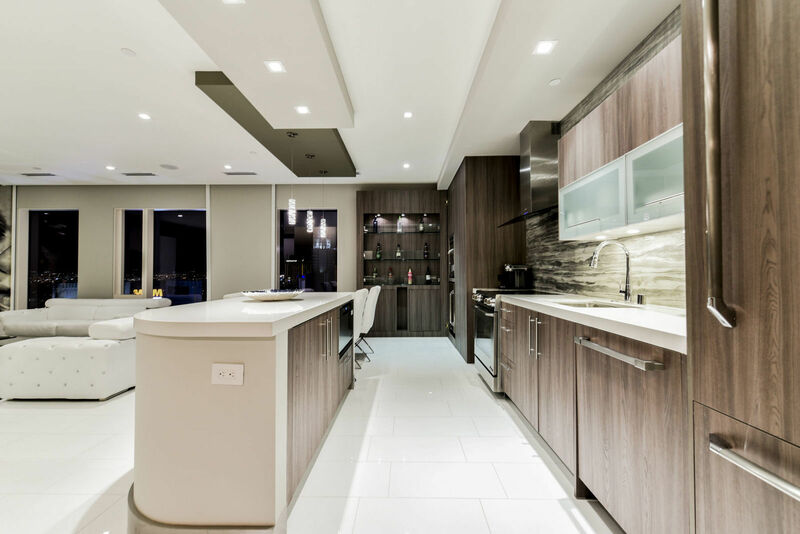 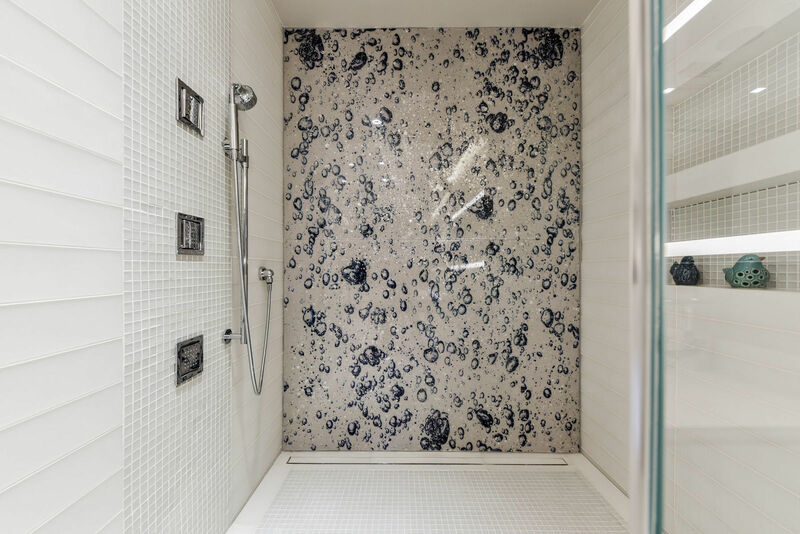 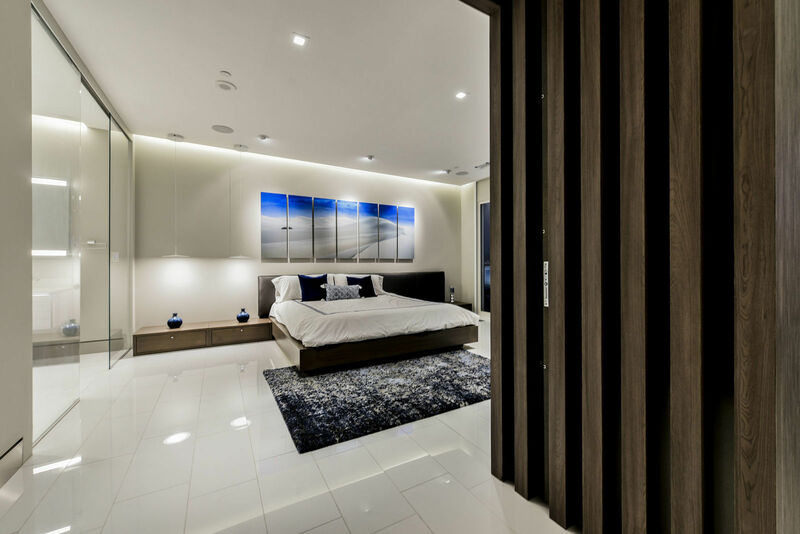 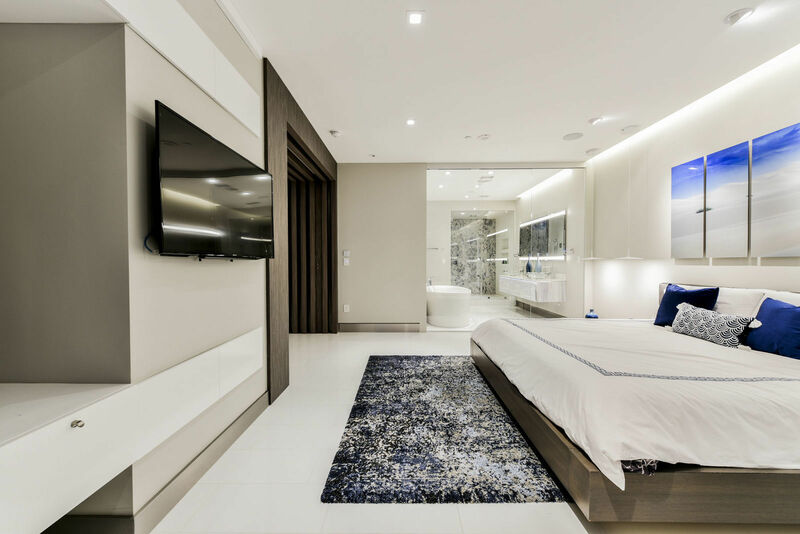 Crystal marble flooring throughout this condo is contemporary and functional. 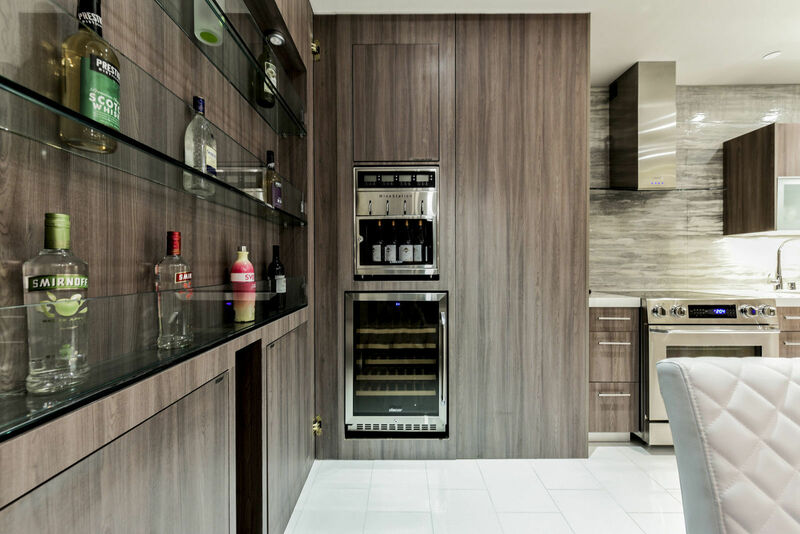 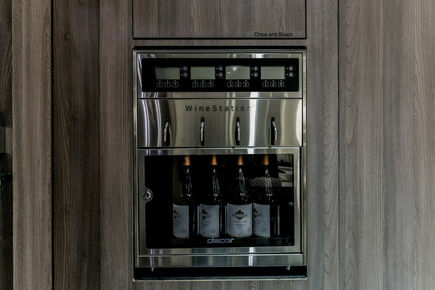 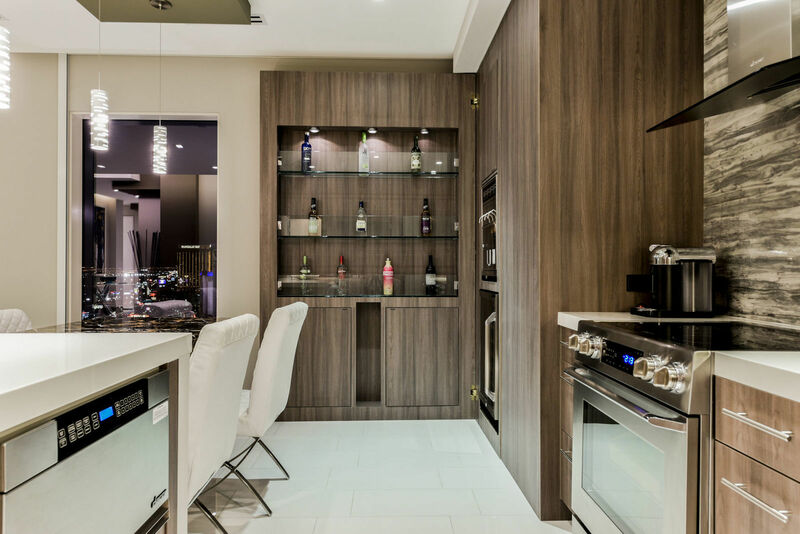 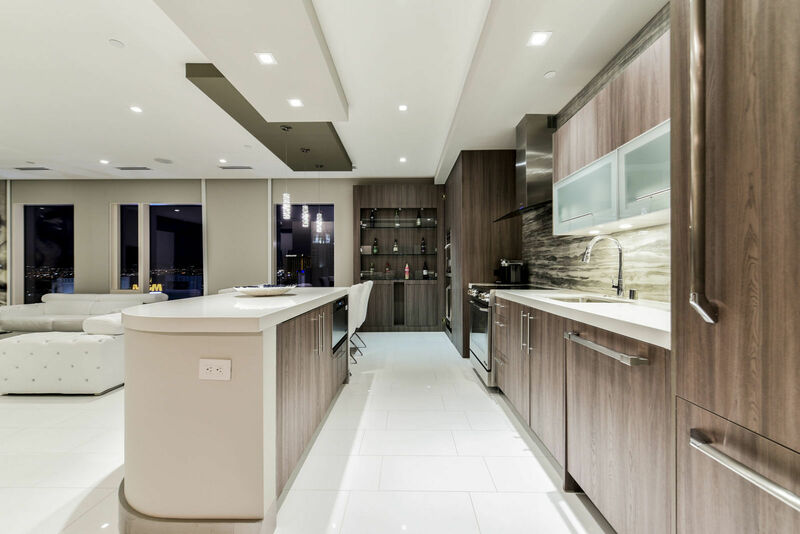 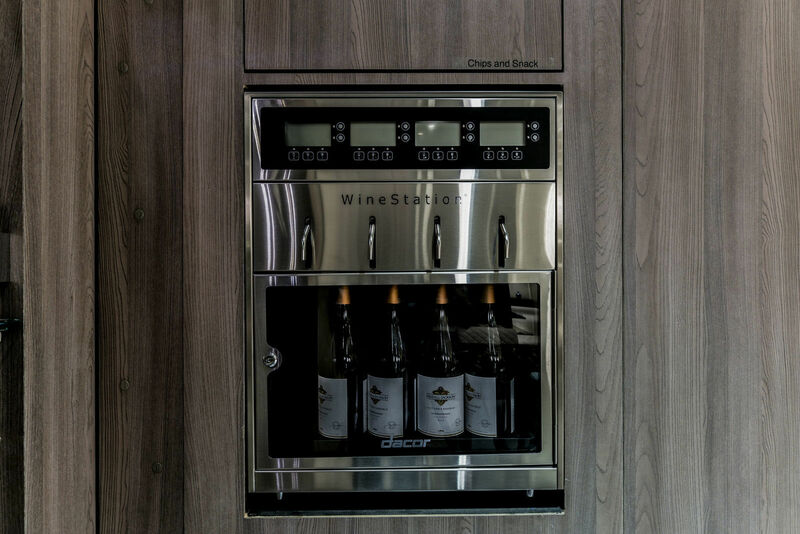 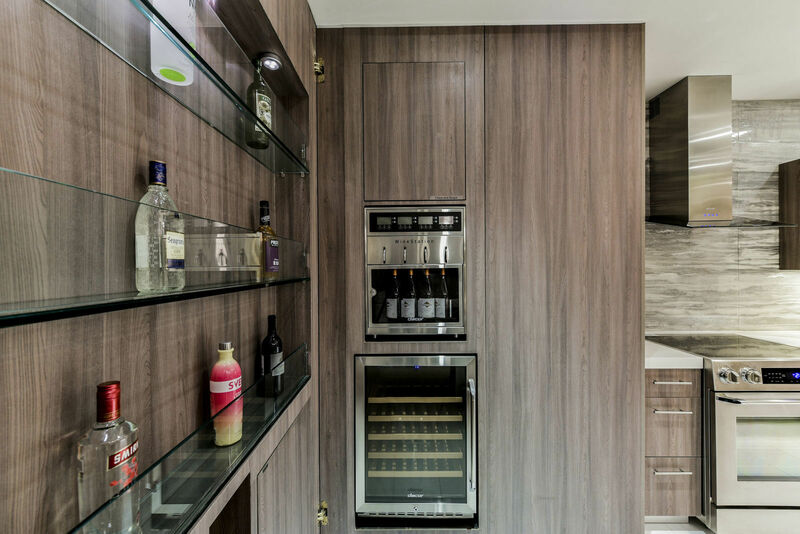 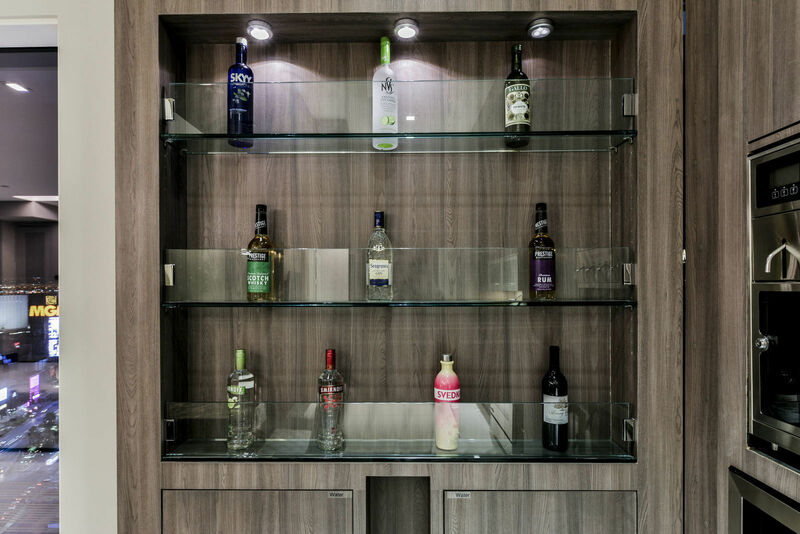 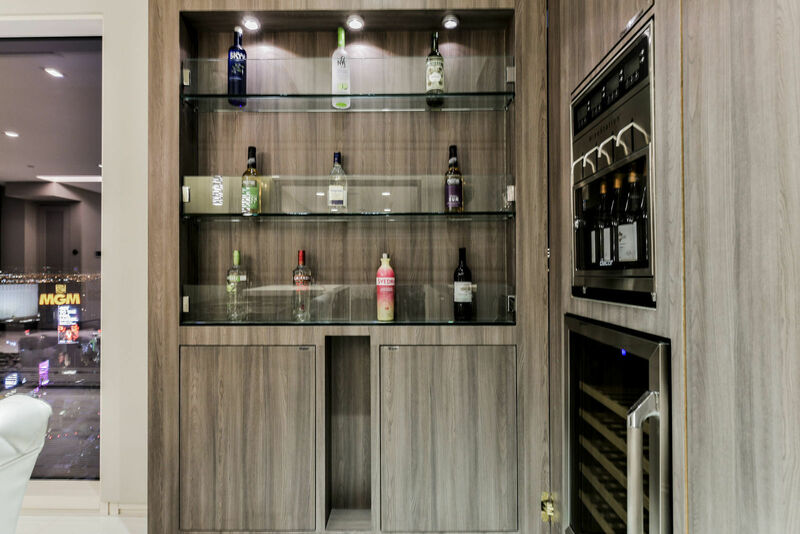 The customized kitchen features a wine bar and dispenser, exquisitie custom cabinetry and shelving, and state of the art Dacor appliances. 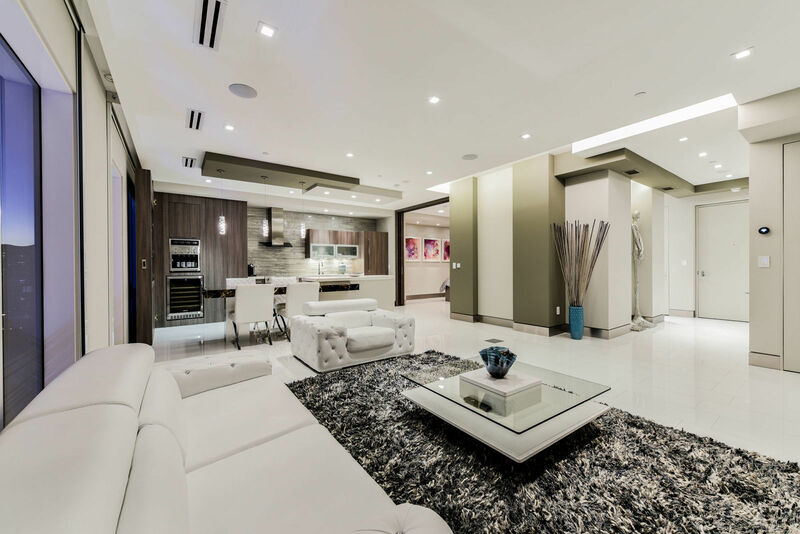 The furniture, art and accessories were custom designed and selected specific to the space. 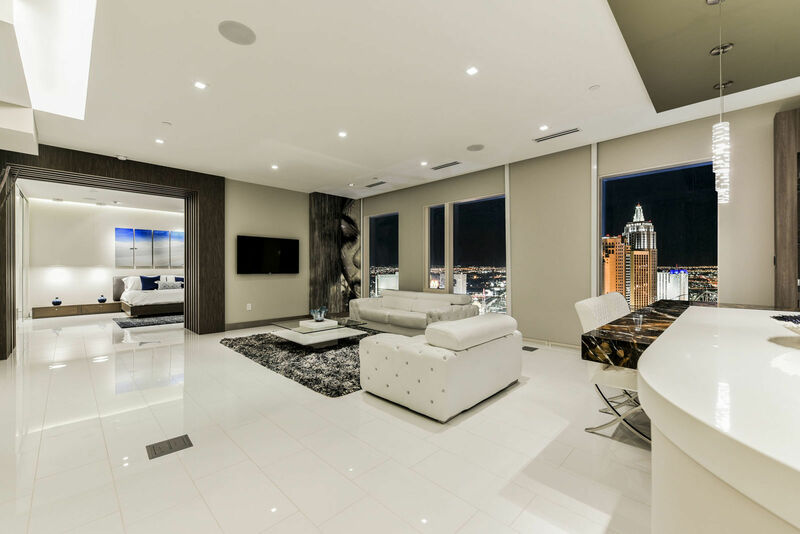 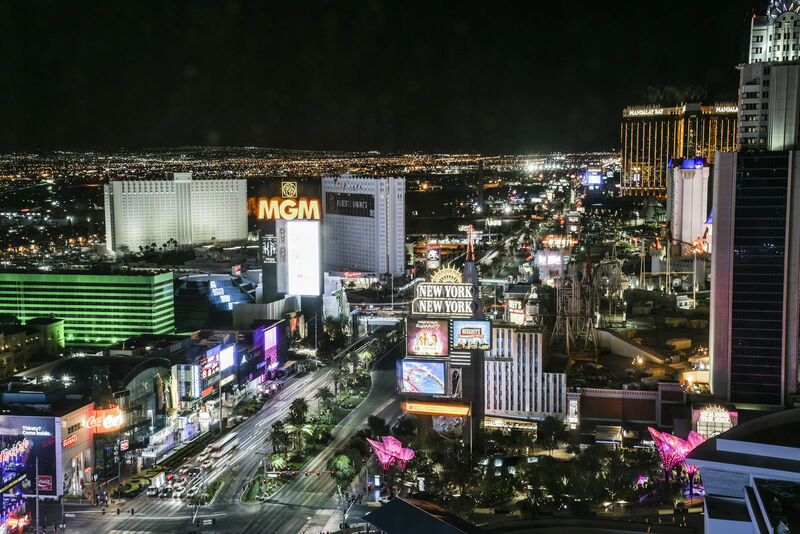 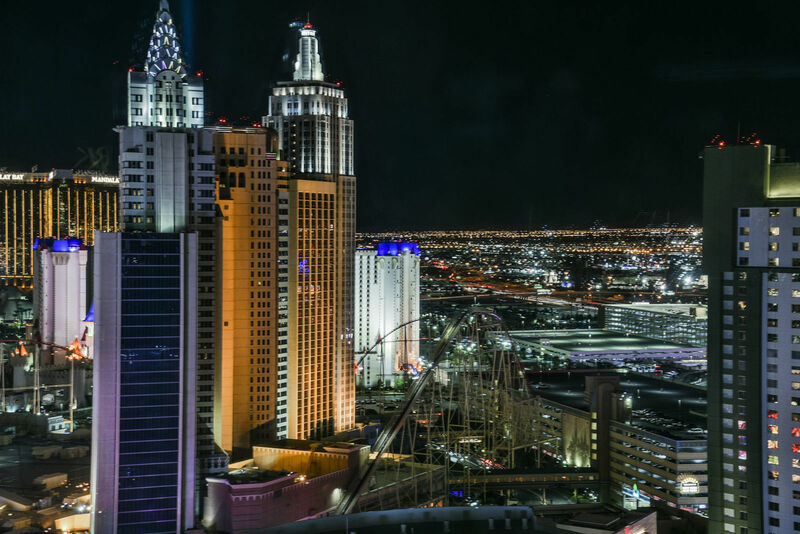 The owner’s suite is spacious with views of the strip, the Raider’s stadium and the mountains. 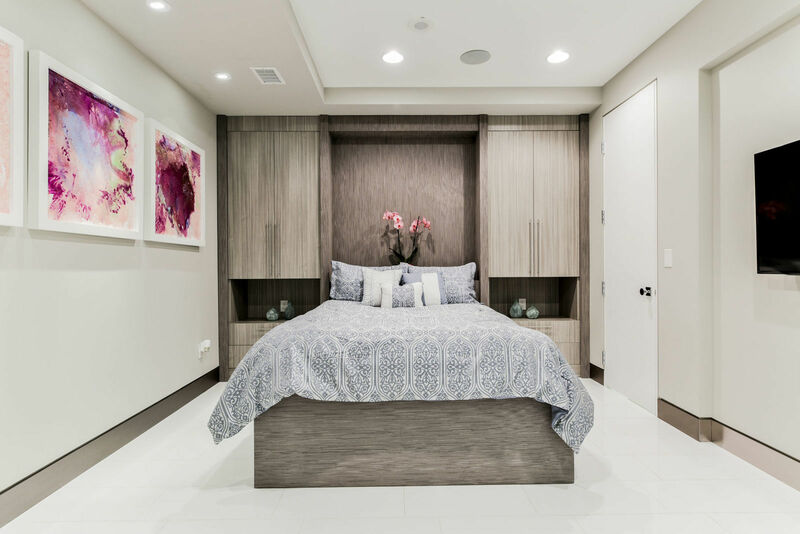 The custom designed bed with wood veneer with custom lighting partners with the custom entertainment center to maximize the space. 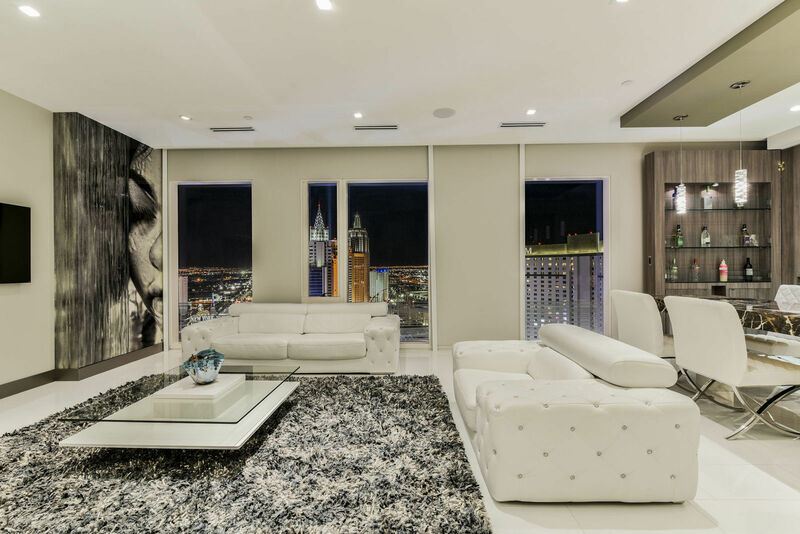 A Rodney Lough Jr. photograph accents the room. 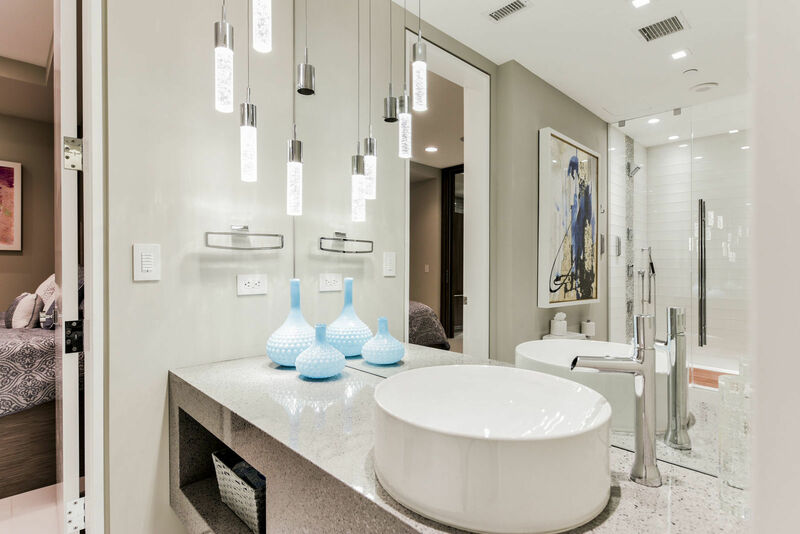 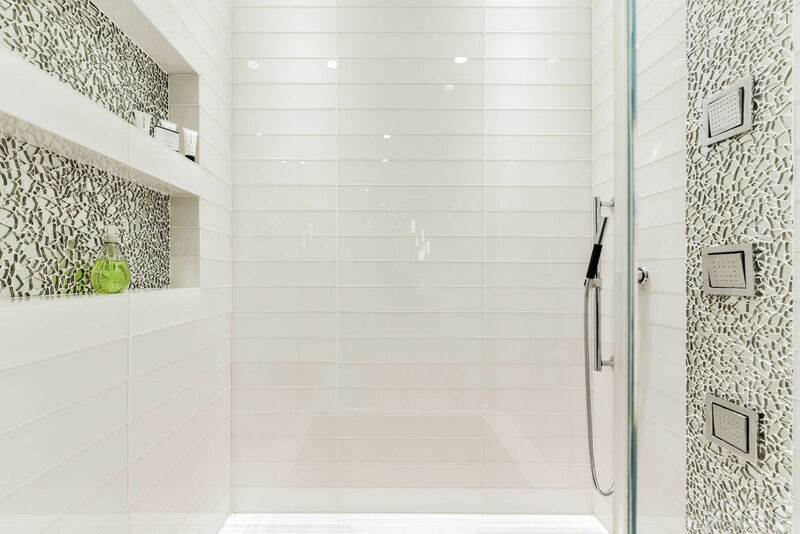 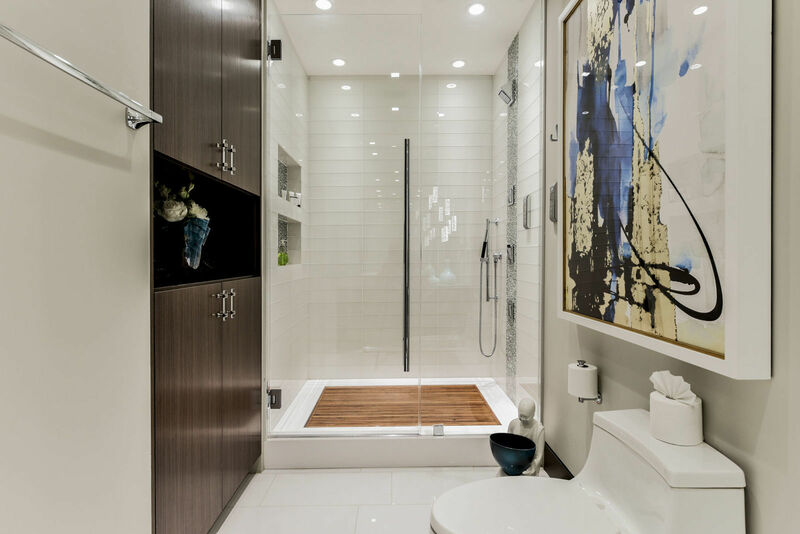 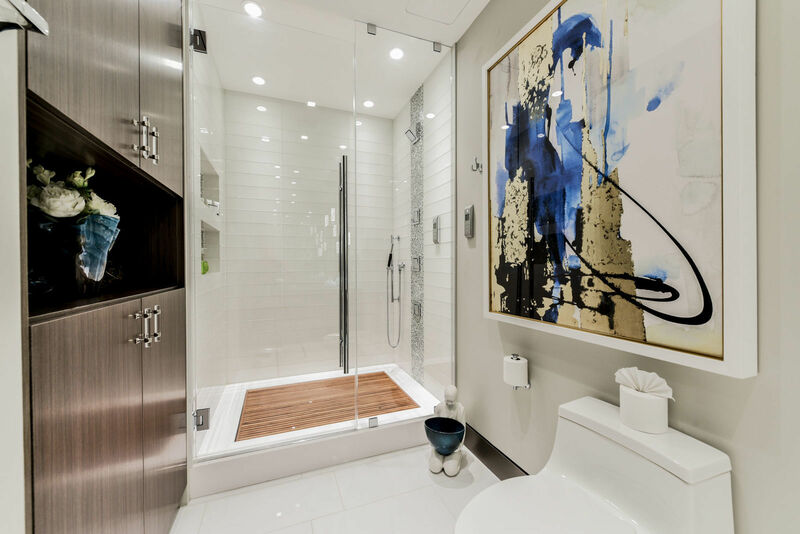 The chic owner’s bath features high end fully automated Kohler Plumbing fixtures, full body sprayers, rain shower heads and designer hardware. 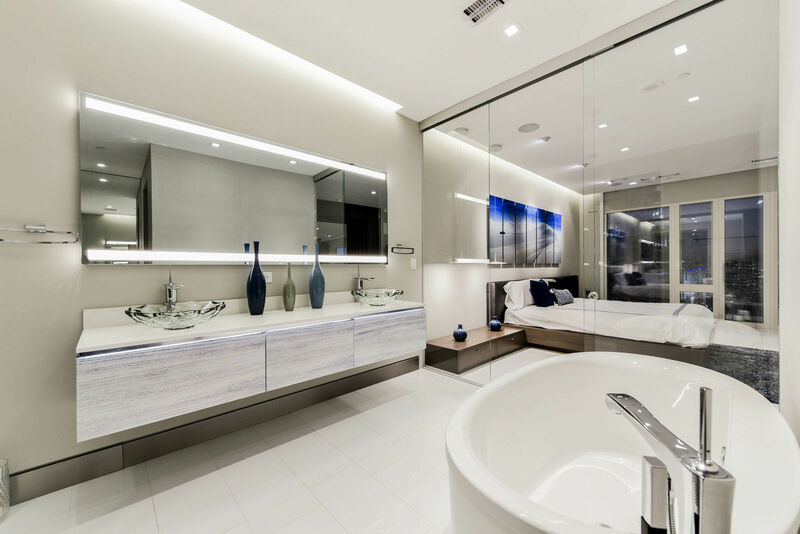 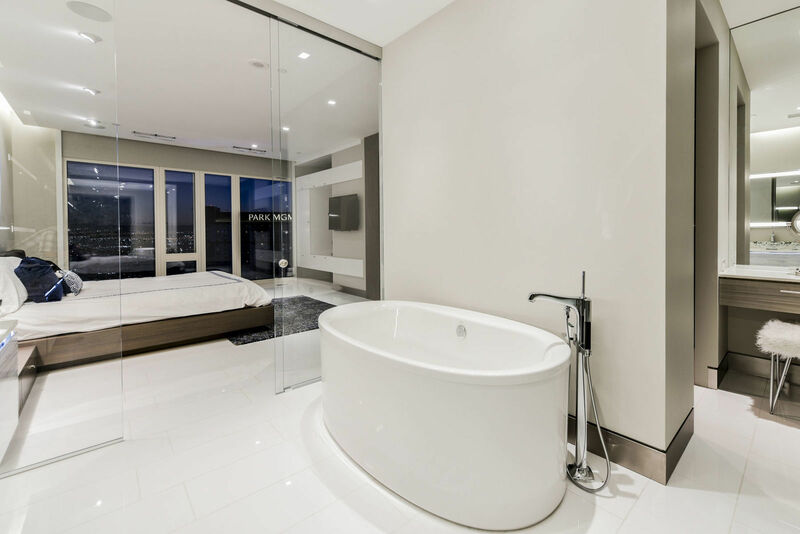 Separate tub is sleek and modern. 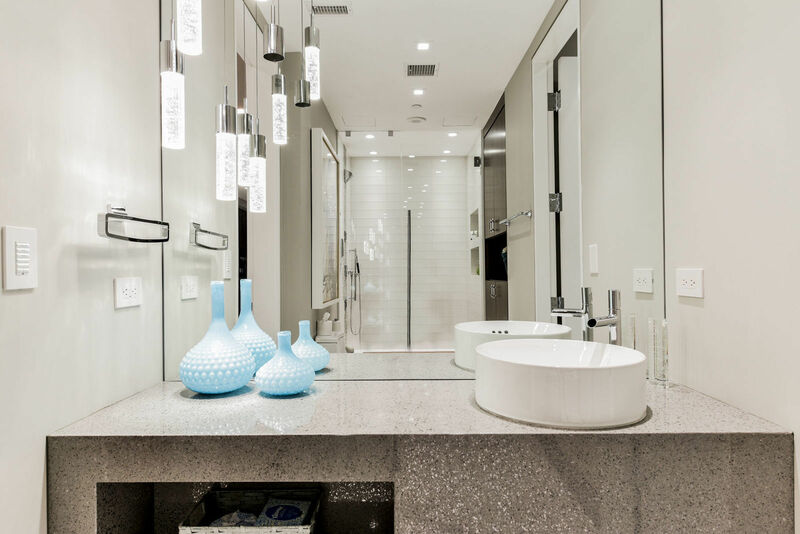 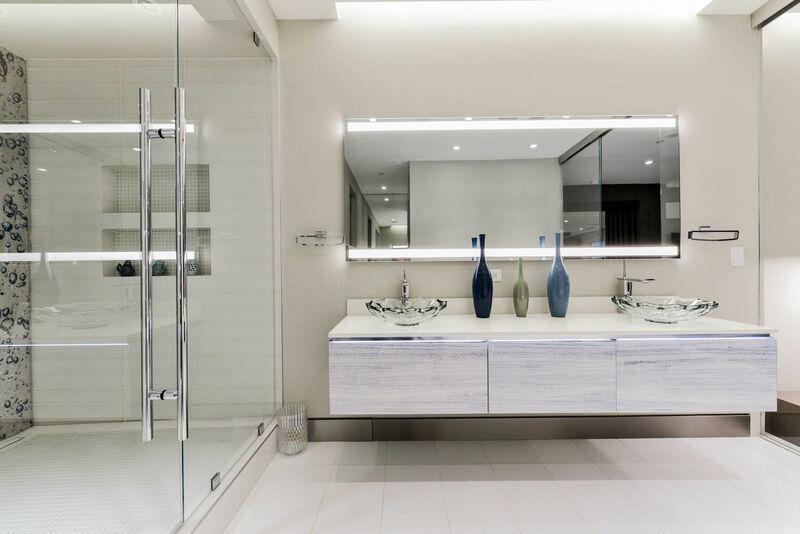 The Kalista glass sinks and Robern Vanities and mirrors complete the look. 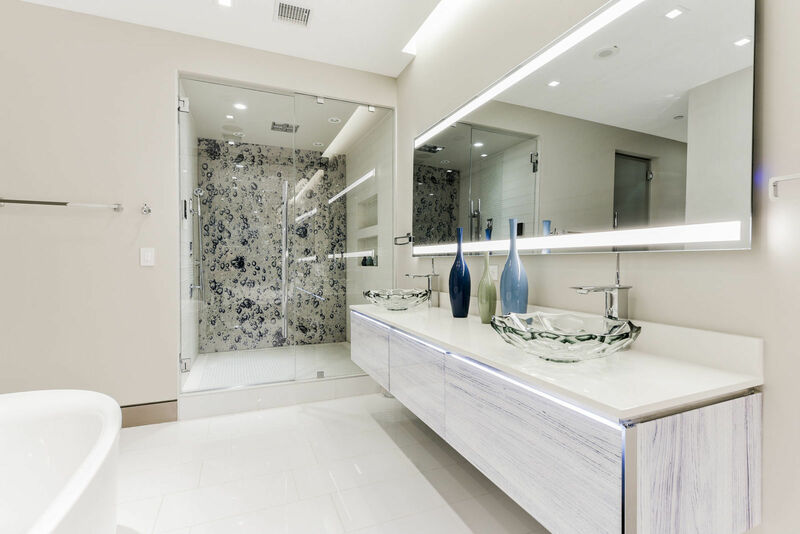 The mirror above the vanity also includes a television screen so you have viewing at your finger tips. 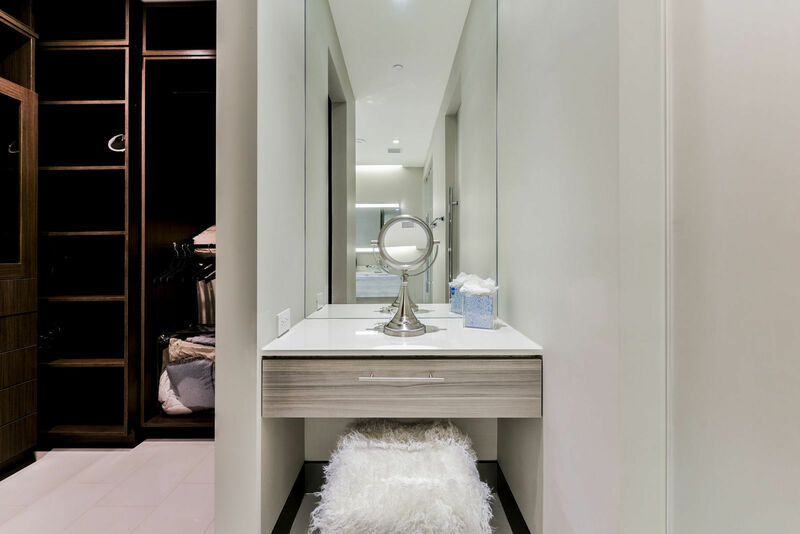 The makeup vanity with drawer and extra lighting is an added amenity. 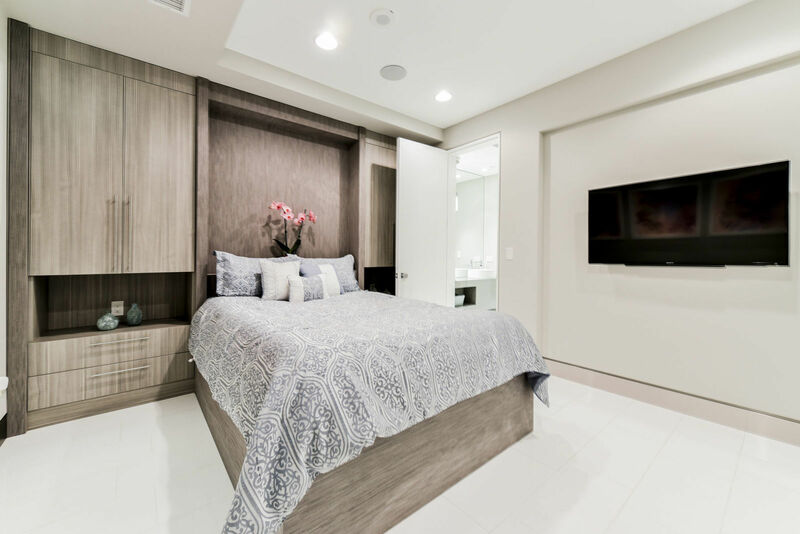 The guest bedroom includes ample closet space and adjoining bath. 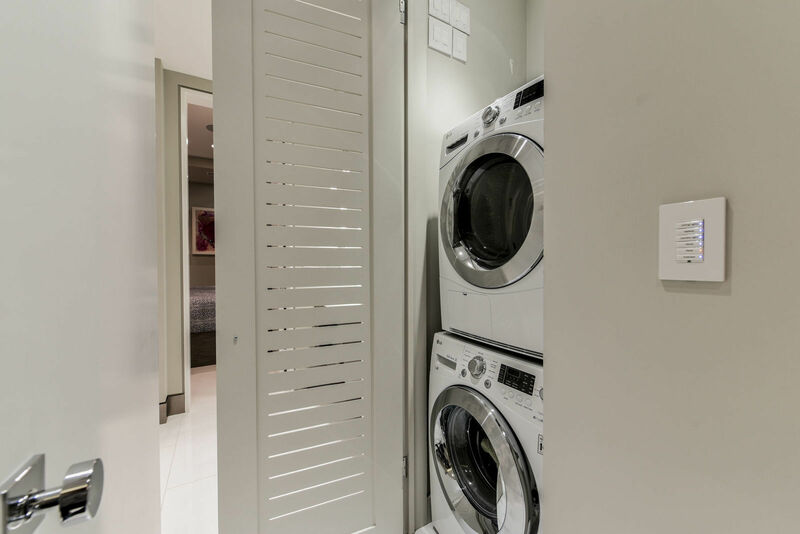 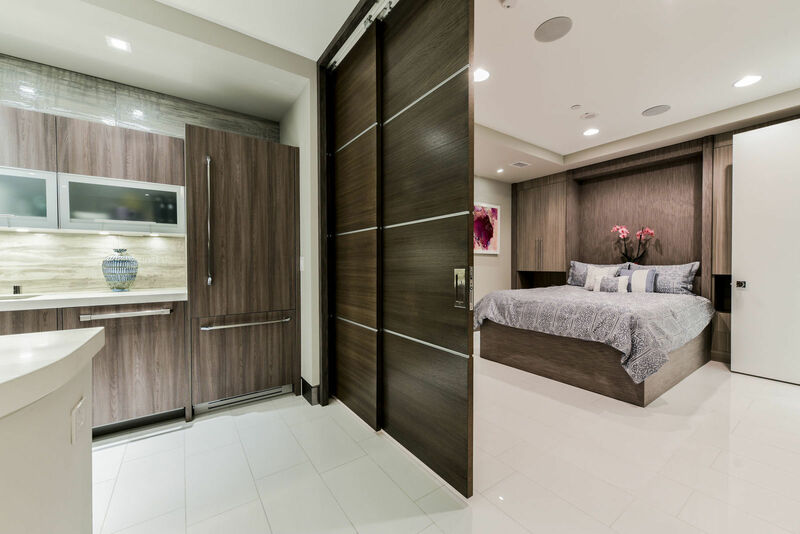 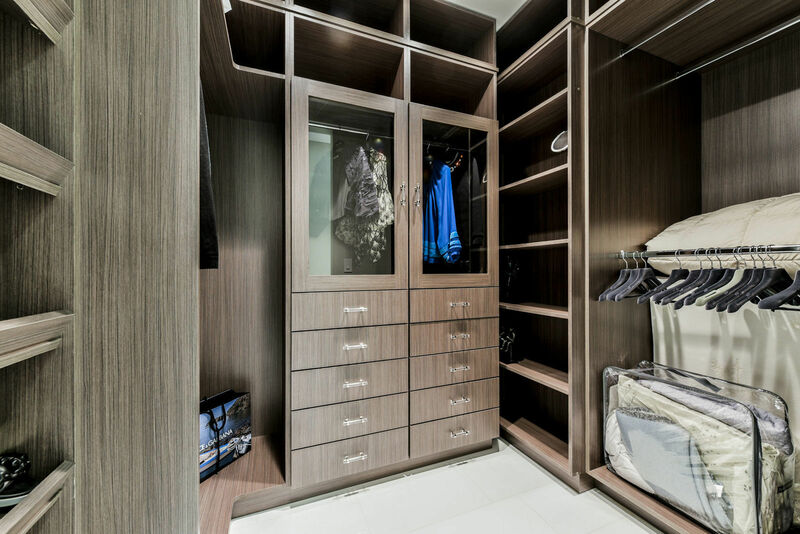 Custom built closet and headboard maximize the space for functionality and décor. 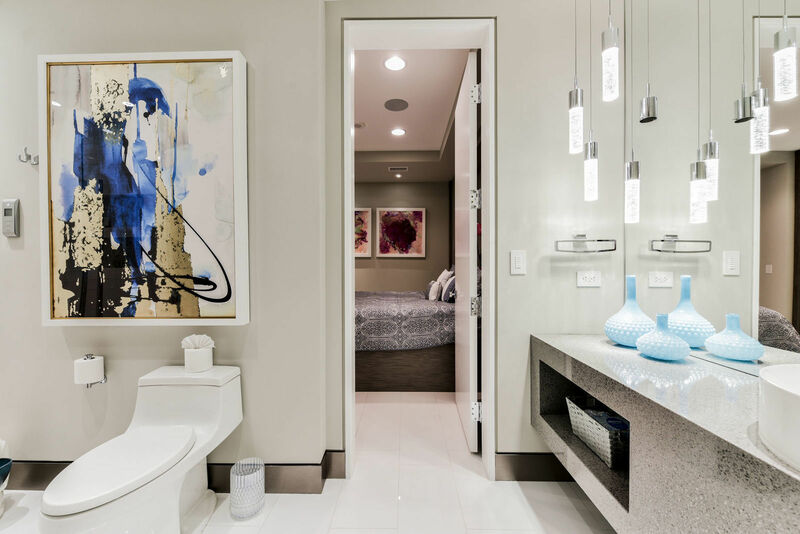 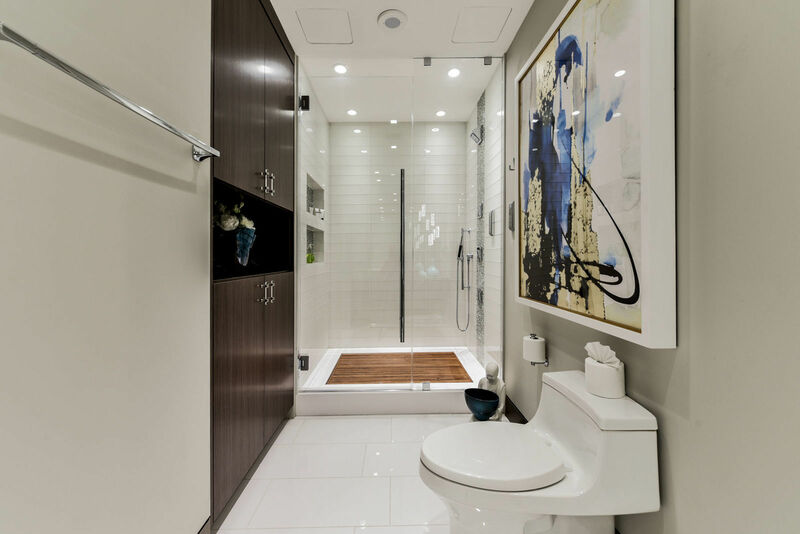 The adjoining bath features walk in shower and customized vanity. 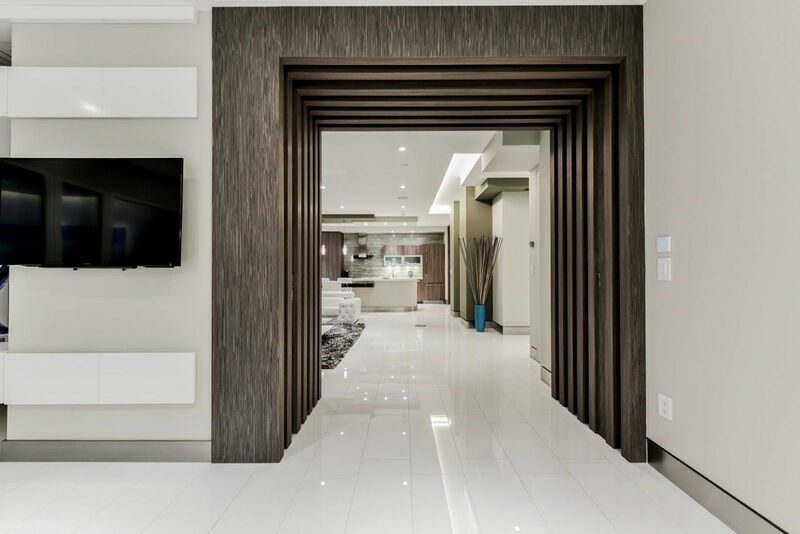 The brilliant use of the space weaves together a contemporary living area that will appeal to all lifestyles whether comfortable living, leisure or entertainment are top of mind.